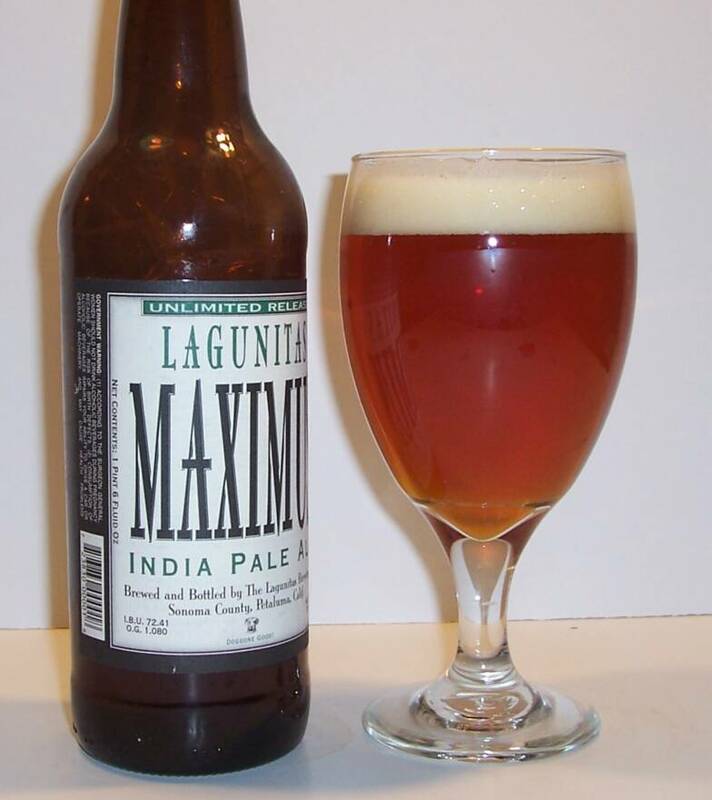 Lagunita's is an excellent brewery from Petaluma, California. They are masters of the hop, and most of their beers have a very distinct hop characteristic to them. Personal favorites of mine are their Hop Stoopid Ale, Undercover Investigation Shutdown Ale, and their Daytime Pale Ale. They take their beer very seriously, but their labeling and their message isn't very serious at all. You'll find very funny creative names on their beers (I mean...hop stoopid? Hysterical! ), and there are always funny anecdotes behind the creation of each beer printed on the labels. Appearance: Beautiful pale amber in color, with a 2 finger thick cream colored head. Visibly carbonated, with plenty of carbonation sticking to the glass. Aroma: Citrus and pine notes dominate on the nose, specifially grapefruit and juniper. Very crisp, clean aromas remiscent of citrus zests. Taste/Mouthfeel: Definitely a generous amount of carbonation on this one, and it helps to give an airy feel to an otherwise medium body brew. At first, you get the sweetness of the pale malts, followed quickly by citrus and pine, specifically grapefruit notes dominating in the middle. On the finish you get a lot of the bittering hops, which linger for a bit, giving you one last hop bite. Definitely a hop lover's dream. Overall: 10/10 I loved this beer. I was surprised to be hit with the sweet malt characters at first on this one, and then have the hops hitting me as a secondary taste explosion. Not very common with most double IPA's. It was a pleasnt surprise, and it almost played a mind game with me. The finish is a spendid bitterness, and really gets you in your cheeks and under your tongue. It's also amazing how the hops aromas and tastes on this one are near identical, with grapefruit being the real star of the show. A complex, and very drinkable DIPA! I wholheartedly endorse this brew! And as Lagunita's logo states "BEER SPEAKS!" CHEERS!